One advantage of partnering with Premier is the convenience of our mobile services, 24 hours a day, 7 days per week. Premier will visit the location of your choice whether it’s your office, job site, hospital or others. 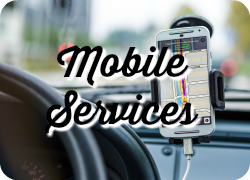 Premier’s mobile testing services are perfect for individuals or group testing of 50 or more. Premier is also associated with a large network of accredited laboratories nationwide allowing us to service your organization and it’s employees wherever you are. Premier offers the latest in technology for providing the results you need instantly. 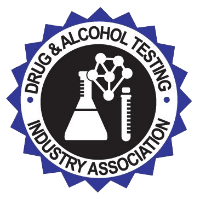 Many of our services including, but not limited to, instant drug testing, instant alcohol testing, background checks, and nicotine testing are provided with instant results allowing our customers to make important decisions at hand. 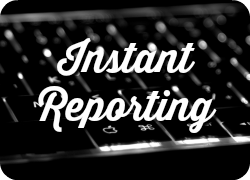 Reports are provided in an easy-to-read format and uploaded to a secure client portal for access 24 hours a day. Our testing services are available by appointment only Monday through Friday during or after business hours and on Saturdays using our convenient online scheduling. Once your request is received, a certified professional collector will call to confirm your appointment. Premier provides individuals convenient solutions like instant drug and alcohol testing, lab-based drug testing, Paternity DNA Testing and immigration DNA testing that is legally-admissible and may be submitted in all situations involving social services and/or the courts. 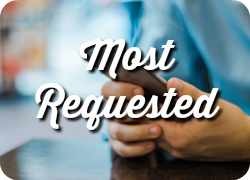 Some situations include: testing needed by social services to process foster care requirements, testing needed for probation, or paternity testing needed to settle family matters. 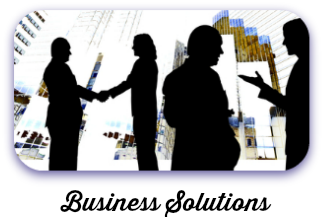 Our broad range of services available enable us to provide an all-in-one solution for businesses and employers. Whether you are a property owner, Director of Human Resources or Director of the Risk and Safety Department, Premier offers simple solutions and customized bundles for managing and administering your pre-employment drug testing, random drug testing, background screenings, and employee wellness – we simply offer testing for it all! Premier serves as a partner and cost-effective alternative to other clinics or laboratories for many organizations like medical and legal practices, schools or large employers. Whether it’s assisting with your drug free program, DNA testing, or as your collection site for your patients or students. We offer a dedicated and personalized service, convenient hours and mobile services, no long wait times, and walk-ins to our location in your community.